Communication & collaboration in the workplace has recently seismically shifted to require more than just simple back-and-forth conversations. Today’s modern workplace has transformed to embrace persistent chat as the core of productivity. This core, tightly integrated with the other facets of work and the systems that facilitate them, along with centralized governance and security, provide a best-of-breed productivity platform that gives your organization the competitive edge. Slack was a primary catalyst for this change and remains a prominent player. However, in a world where Office 365 reigns king in the content & collaboration space, it is a task to remain competitive. 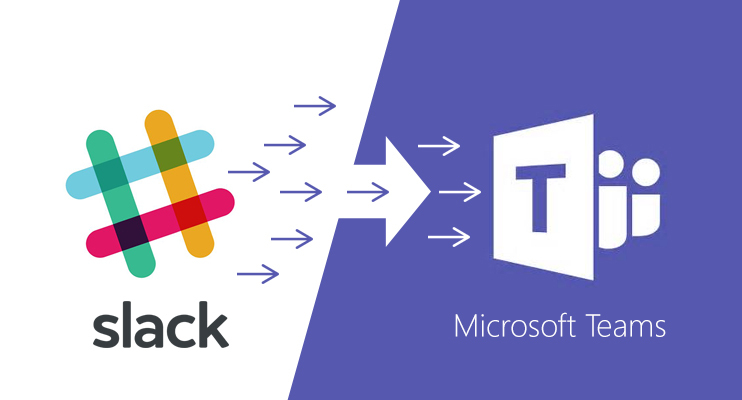 While Slack successfully addresses many requirements in this space, it falls short in its ability to deeply integrate with the Office 365 ecosystem. Microsoft has clearly recognized the value of this new productivity model with its huge investment in building Microsoft Teams. The current feature comparison, continued roadmap of innovation, deep integration with Office 365 and the fact that this is already bundled with your current Office 365 licensing, makes a migration evaluation a no-brainer.